The 13.5 gram 500 piece Monte Carlo Clay Poker Chips is good for 5-8 players. 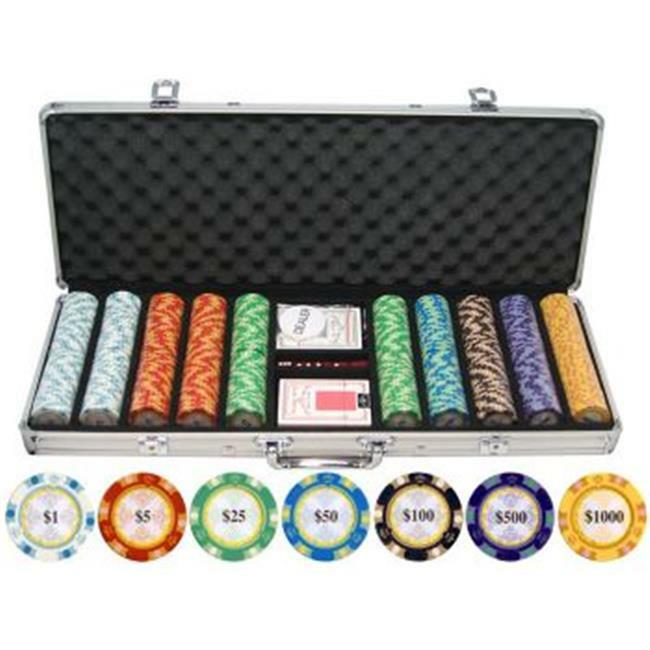 This set features the great sound and feel of a clay chip with a metal insert for an extra heavyweight poker chip. Real 13.5g Clay Chips - Great Feel and Sound. Exclusive three color design and seven denominations for high stakes poker games.